This past weekend, we had the wonderful opportunity of DJing Josh and Monica’s wedding at the amazing Tremont Grand in Baltimore. The venue was beautiful and the reception was a great time. 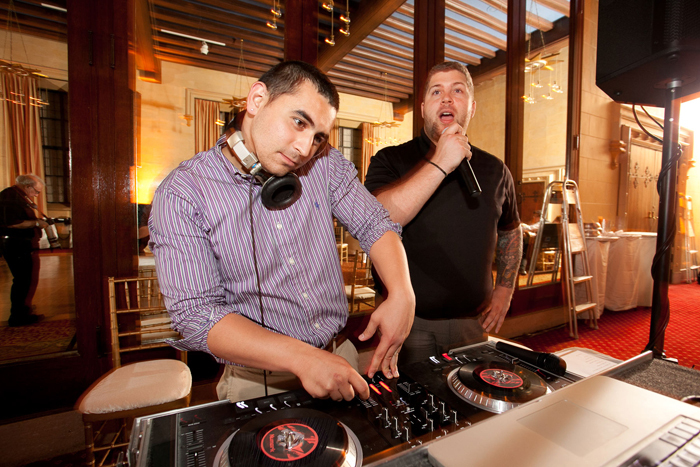 While DJing the wedding, we got to work side by side with two photographers and a videographer from Formica Studios who generously let us use one of their photos (pictured above) on our homepage. We’ll be posting more pictures from the event, but be sure to check out the Formica Studios website to see more of their work or give them a call at 410-647-1325.